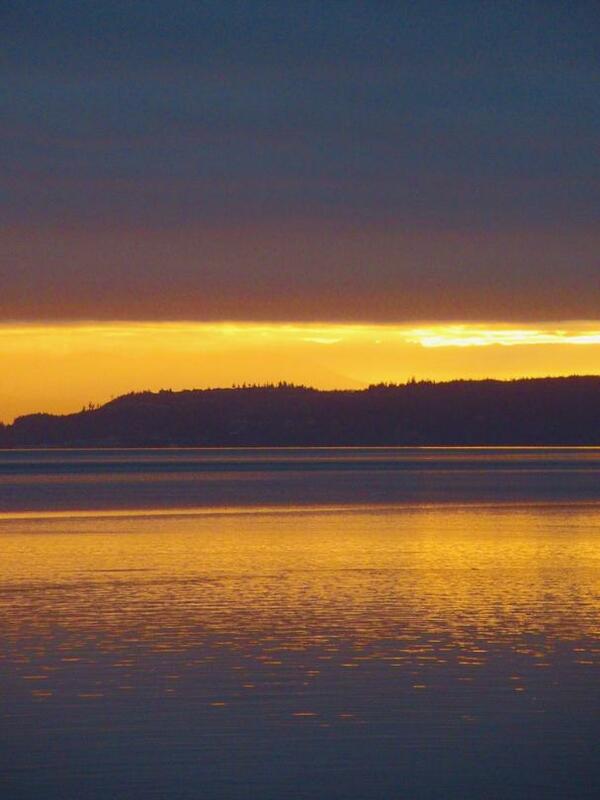 After a 20-minute car ride from Seattle, my wife and I found ourselves boarded on the ferry to Whidbey Island. The beauty of this trip can be enjoyed in one day or spread the over several days. We voted on several. The excitement started immediately when some of the passengers saw an Orca Whale but sadly, we didn't make it to that side of the ferry in time. Good idea though to always keep an eye out for members of the resident Orca pod that lives in Puget Sound the entire year. We missed the whale, but we enjoyed the views of Mt. Baker to the northeast and the Olympic Mountains to the west. 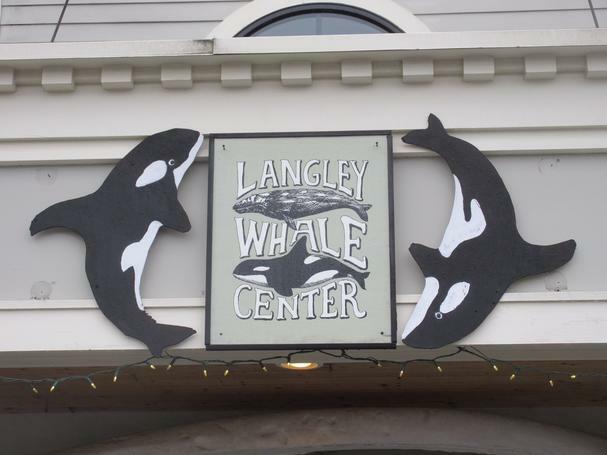 After sailing west we landed in Clinton, Washington and proceeded to drive the short distance to Langley, also known as a Whale Trail City. We did go at the Seawall Park on the waterfront to try to find some whales, but they must have been out hunting for breakfast. Breakfast for us involved a short walk to the Braeburn Restaurant. The server at this cozy café was a big hero when she immediately delivered fresh coffee from a local coffee roaster, Whidbey Island Coffee. Since we had started our day at 6 am a second cup was requested. 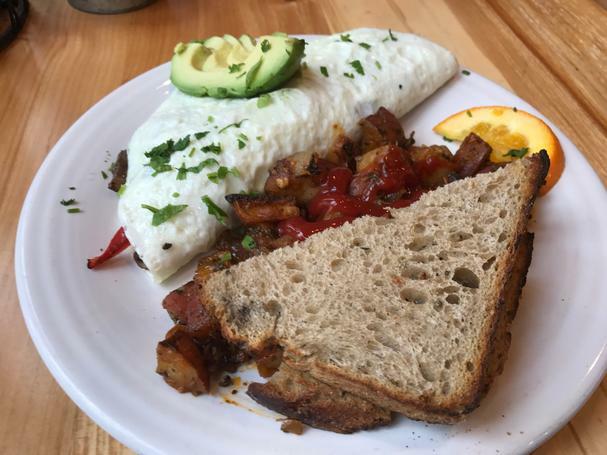 We both ordered the veggie omelet, which was loaded with onions, peppers and avocados. We agreed that it was the perfect breakfast. My wife was enthralled by the stunningly beautiful and unique multi-colored water glasses. Each one was a different shape and color. Along with other unique décor, the glasses added to the special coziness of the café. Curious about their origin, we asked the server. She pointed next door to Callahan’s Firehouse Studio. Firehouse? Yes the building was home to the City of Langley Fire Department until 2008. 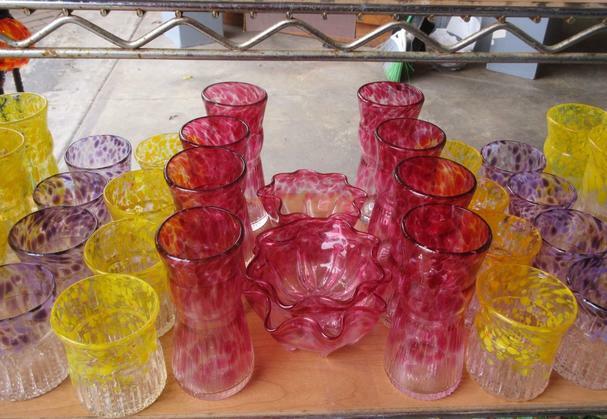 Artist and craftsman Callahan McVay then moved in to create a glass art studio. Callahan’s artistry has its roots in his family wood craving business. He started woodcarving at the age 5, and before you know it he was selling his art at state fairs. He eventually made the transition to stained and blown glass when he enrolled in an alternative high school to learn that craft. Along with providing the Braeburn with beautiful table settings, much of his work has been shown internationally. Pay him a visit and walk around the shop and admire his artistry. He also offers classes, so you can have your own glass blowing experience. All of those glasses were making us thirsty, so we decided to move on to our next stop. 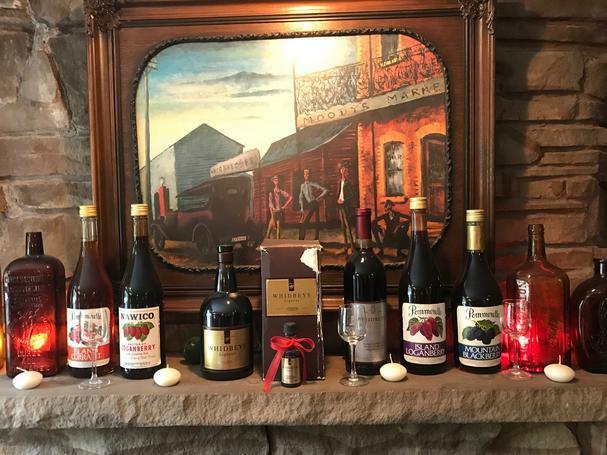 Since wine and spirits were on our mind we checked out Whidbey Island Vinters. So many choices on such a small island! We chose Whidbey Island Distillery for the first stop. We heard to make good spirits, it takes a combination of science, chemistry and a little artistry. The owner Steven Heising fits that, since he is a retired rocket scientist. Also helpful was the fact that Steven had some training as a youth when he helped his dad at his home distillery. Dad coached his son quite well! Bev, Steve’s wife, suggested that Steve’s retirement progress into running a distillery on a nine acre piece of rural land. Steve is in charge of distilling, creating whiskey and liqueurs and Bev runs many of the business activities. When not at the distillery Bev can be found practicing her violin, giving lessons, and recording Celtic tunes. We were sorry that we did not hear the Celtic notes but enjoyed the dark rich notes from the Blackberry Liqueur. Made from Black Diamond Blackberries it is a prefect after dinner drink or ice cream topping. The berries, like many of their products are local and come from Graysmarsh Farm in Sequim. Interesting that these are a thorn less variety, which I wish was the case for my backyard blackberry brambles. More liqueurs were sampled and our favorite was the Boysenberry Liqueur. Boysenberry is a cross between the blackberry, raspberry and loganberry and this combination offers a complex taste that we really enjoyed. The liqueur has a multilayered flavor profile, such as you would find in a fine wine. Perhaps pair this with some chocolate cheesecake. The derivation of the name Boysenberry is certainly interesting. Rudolph Boysen grew it in Northern California, having obtained the root stock from John Lubben. John humbly called it Lubbenberry. However Boysen let his new berry field go unattended and the plants were smothered by weeds. However, leave it to Walter Knott (of Knott’s Berry Farm fame) to come to the rescue of this berry. Knott grabbed some of the frail vines and transplanted them to his farm in Buena Park California. He first started selling the berries in small stands in 1932 and he honored Mr. Boysen by calling the sweet fruit Boysenberry. Fast forward to today, you won't find boysenberries, or any other kind of berries growing at Knott’s Berry farm. It is now a 160 acre amusement park, one of the most visited in North America. Meanwhile, the primary growing areas for the boysenberry is Oregon and Washington, including Clinton. 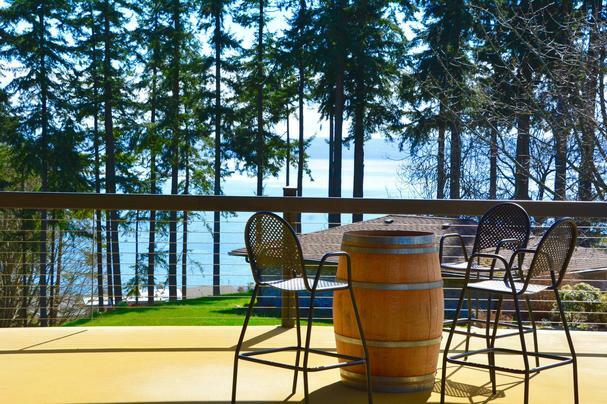 From the farm we quickly proceeded to the spacious tasting room to enjoy the views of Puget Sound and sample some of their estate wine. This is truly a family run business with Carl Comfort the winemaker, a son helping out at the winery and a daughter utilizing her graphic skills. We started with Madeleine Sylvaner and really liked the citrus notes and smooth taste. Perfect for a summer evening sip! This not a very common wine and they are the first winery in the state to make it. Next wine tasted was the more traditional Madeleine Angevine, with a crisp taste and light fruit notes. A perfect match with halibut or just about any shellfish. Final tasting was Siegerrebe which has a balance between lightly sweet and lightly tart and certainly great on a warm summer day, maybe paired with some spicy prawns. This grape was created in Germany by Dr. Georg Scheu. There is some debate that it was made by crossing Madeleine Angevine and Gewürztraminer. His son later claimed it was from self-pollination of Madeleine Angevine. We will let the experts debate this, but one thing we can all agree on is the word in German means “champion vine or victory vine.” Yes this wine is a champion. It is difficult to find this wine, so when we do, my wife considers that a victory! All of these grapes were planted here in the 1990’s by the original owner and he sure knew that these grapes would thrive in the cool Puget Sound climate. We eventually said goodbye to Rita and the llamas and cows to continue on our day. Our next stop was the tasting room at Blooms Winery at Bayview Corner, also in Langley. Ken and Virginia Bloom have been making wine since 1998 and it started as a hobby. Ken’s brother Jim has a vineyard in Hopeland California and Ken and Virginia were “invited” to help plant the vineyard and partake with the first harvest in 1998. Jim had a special row of Cabernet Sauvignon dedicated for family use. 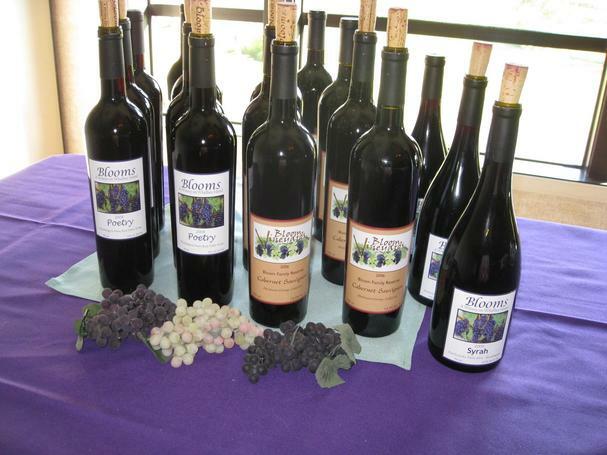 After the harvest the Blooms hauled the grapes north to Freeland Washington and enjoyed the fruits of their labor. This hobby turned into a business when they became officially licensed in 2003. The first wine we tasted was the Cabernet Sauvignon which had won a Silver Medal at the prestigious San Francisco Chronicle Wine Competition This is a typical full body Californian wine with light cherry notes. We then proceeded to the Poetic which is a blend of grapes from Eastern Washington, Malbec, Syrah and Petit Verdot. It had light notes of currant and just a little spicy essence from the Syrah. There were a lot more award winning wines but we had to move on. In fact there were many other wineries that we left to be visited next time. The Captain Whidbey Inn on Penn Cove and the award winning Penn Cove Mussels awaited us for a fun evening. Whidbey Island boasts some of the most dramatic views of the islands of Puget Sound, the Olympic Mountains and Deception Pass. 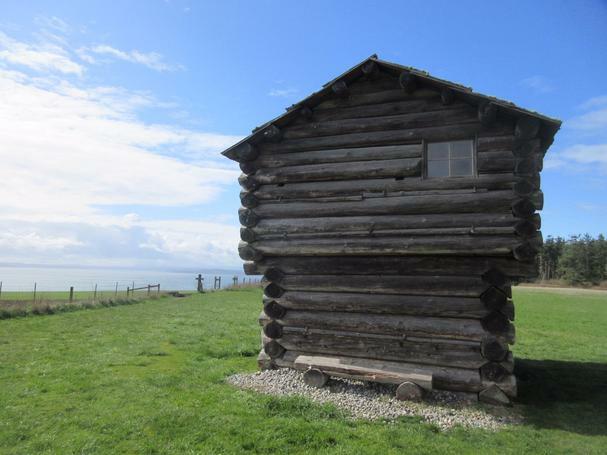 Islanders also like to boast that Whidbey is the longest island in the United States, a claim that is hotly debated by residents of Long Island NY. Seems like a simple question to answer, but measuring Whidbey is complicated by its curly-que shape. The debate is further muddied by the fact that in 1985 the Supreme Court of the US reclassified Long Island to a peninsula to simplify a ruling on an off-shore boundary case. But it is the shape of Whidbey that really causes the problems, even with Long Island disqualified, there are three other Islands laying claim to the title. Whether fourth or first, the 55 miles can easily be driven and explored in a day. Arriving at Captain Whidbey Inn, we quickly settled into our waterside cabin overlooking Penn Cove and headed to the lodge for dinner. Established in 1904, the lodge is part of The National Registry of Historical Places. Cozy, quaint, warm, and charming – just a few of the words that describe the feeling in the lodge. Our table was set in the small dining room next to the window with its spectacular view. Of course the first item to jump out at us from the menu was the world famous Penn Cove mussels. Greatly admired by chef Tom Douglas (James Beard award winner) and Martha Stewart, the mussels are shipped to famous restaurants in New York, Chicago, and Washington DC and as far away as China. Lucky us, we can enjoy ours while gazing at the pier they are harvested from! 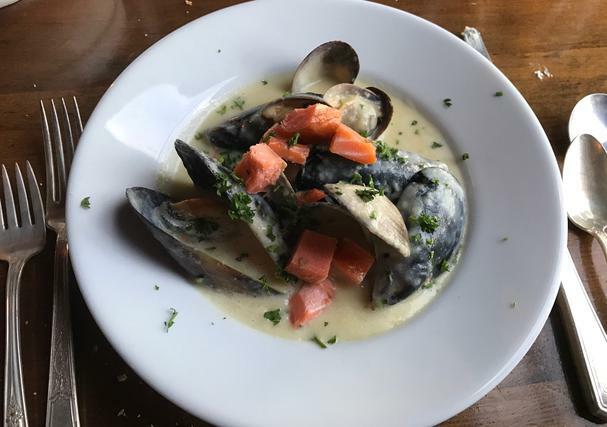 Don’t forget about the Inn’s Executive Chef Ryan Houser, who won the title of the best chowder from 18 other restaurant at the 31st annual Penn Cove Musselfest in Coupeville Washington at this year's annual festival. In fact Ryan also won in 2015 and many claim he would have won in 2016, but there were rumors that ballots were not getting out on time. Fortunately the island was spared a controversy and no legal challenges were filed. The menu featured the winning chowders from each championship year. We started with the 2015 winning recipe, which had a cauliflower base, clams and smoked salmon. Next came this years’ winner: a mussel base chowder with a tasty pairing of lobster and fennel. We are still deciding our favorite, but my wife is leaning strongly toward the fennel. For the next appetizer we enjoyed the Penn Cove Mussels soaked in a garlic and parsley butter sauce. You can't get much fresher, with mussels from their own bed in the Cove and 30% of produce they use coming from their garden. 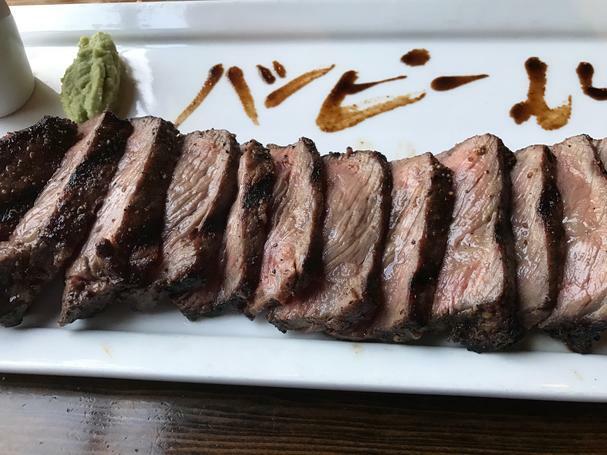 The main course for me was the New York strip loin, so tender it almost melted in my mouth. It was cooked in grated garden-fresh wasabi and lightly dressed in au jus. It was so juicy I had a difficult time sharing! 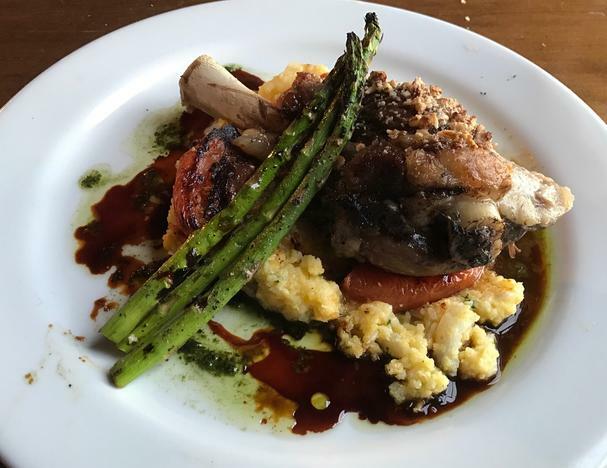 My wife's Lamb Shank was braised with honey and tree nuts, and served on a bed of corn pudding. 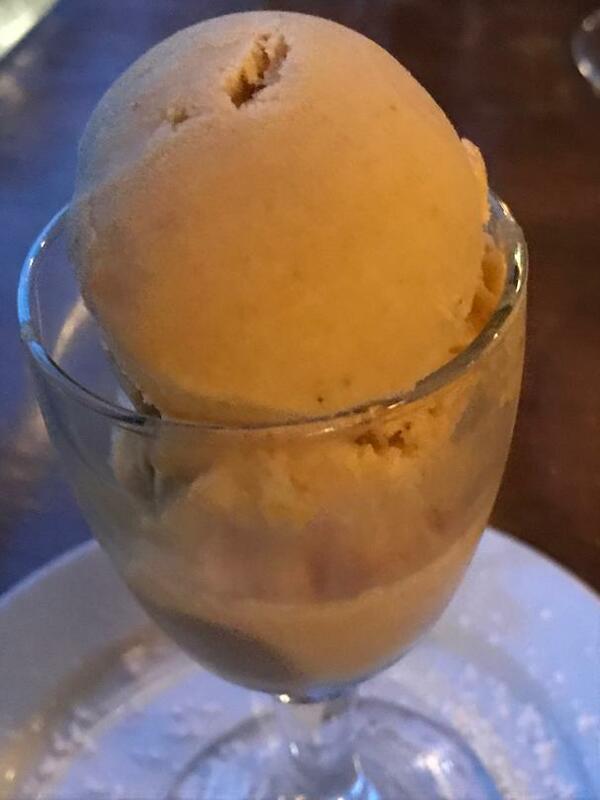 Desert was homemade pumpkin ice cream – a perfect and delicious end to a wonderful meal. After several hours enjoying all this fresh food and soaking up the views of Penn Cove the 20 second walk pack to our waterfront cabin was welcome. We quickly went to bed and looked forward to the next day’s adventures. The start of the day was grabbing a cup of coffee from the Inn and standing on our deck watching the red sky of sunrise over Penn Cove. Then after this magical time I walked the grounds of the historic charming Inn, built from native trees on the property. I walked the past the garden and on my way to the lagoon cabins I saw some ducks and geese. They provide eggs for some of the meals, so I guess that is why they wanted to avoid me. This was such a peaceful way to start the day. The hike starts at the Prairie Overlook Trail and within a mile we were enjoying the views of the sun glistening off the Admirably Inlet (part of Puget Sound) and the snowcapped peaks of the Olympics Mountains. One can either hike back to the car or hike down to the beach and back. In fact there are many options if one wants to get a good hiking workout with lots of trails (check out the trails here). After our hike it was time to do the short, five minute drive to the historic town of Coupeville and have lunch at Oystercatcher Restaurant. The restaurant is named after a bird, oystercatcher, who lunches regularly on mussels and oysters. We did not see any of the birds, since they are mostly found in Baja California and south as well as the East Coast of the US. 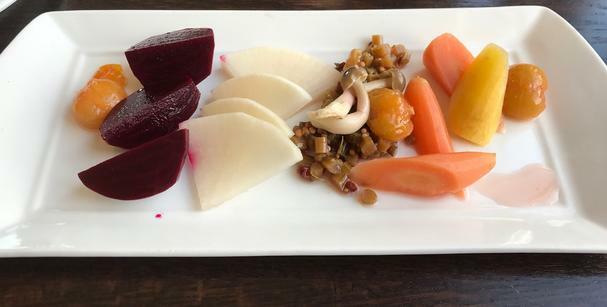 Our lunch started with a lovely variety homemade pickles with an assortment of tomatoes, carrots, radish, kale, beets and mushrooms. A treat for the eyes, as well as the taste buds. 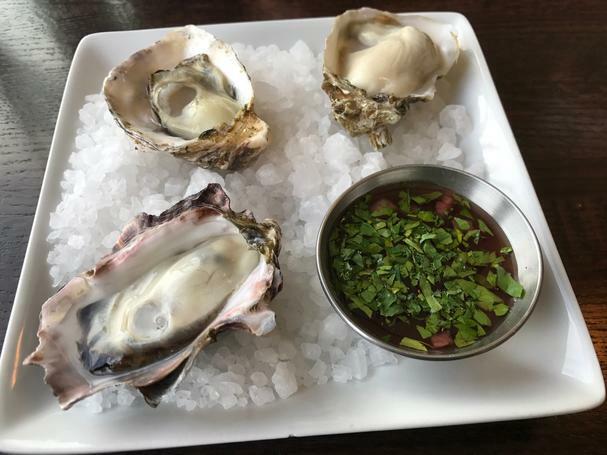 Then I went on to fresh oysters all very tasty served in the half shell with red wine mignonette. This sauce was so good I took some home. For lunch I was ready for something I have not had in a long time, Grilled Octopus. 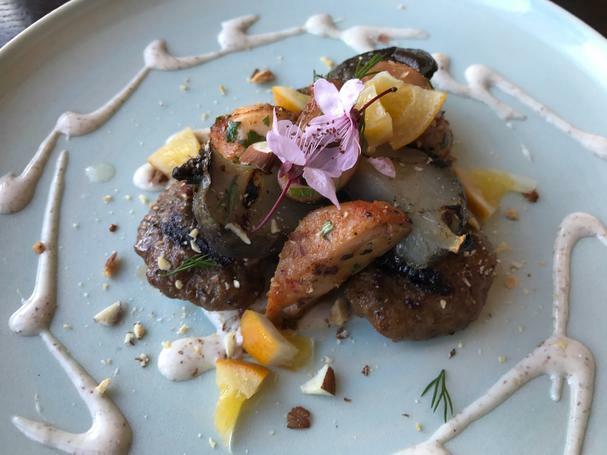 What made this tasty was the spicy kick from Merguez, a North African style of lamb sausage. My wife wanted something more traditional and went with the 3 Sisters Ruben made from house cured pastrami with a smoky flavor and served with homemade sauerkraut on homemade rye bread. She sure looked happy with her choice. After lunch we took a walk around the waterfront of Coupeville and enjoyed window shopping in this historic town under the usual sunny conditions. Coupeville only gets 21 inches of rain a year, about half as much as the Greater Seattle Area, since it is in the Olympic Rain Shadow. 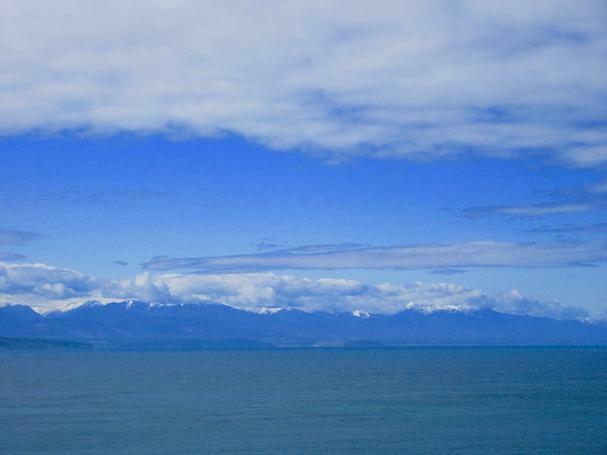 So thanks to the snowcapped peaks of the Olympics for grabbing most of the moisture and the dry winds that pass over Coupeville, bringing us the sun. Before leaving we went past the Knead and Feed and smelled their famous cinnamon rolls, but restrained ourselves since we still had a big dinner planned later in the day. 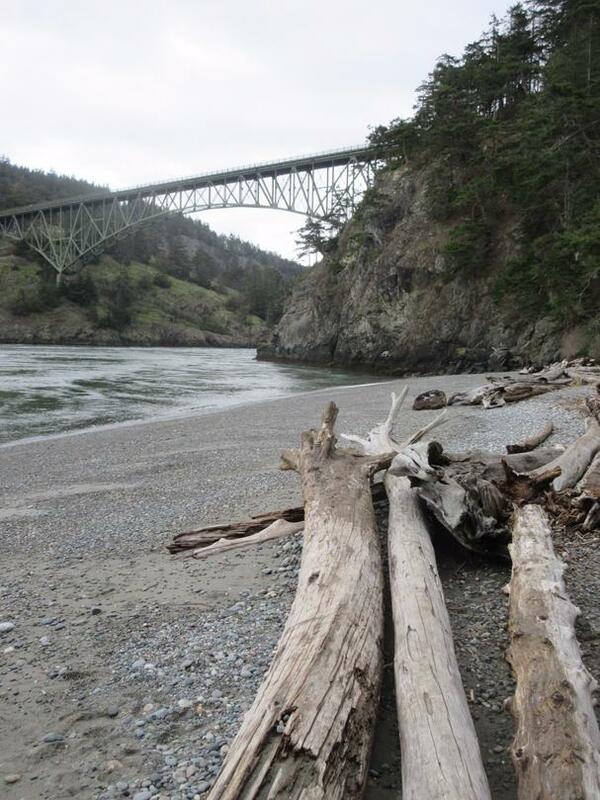 Next up is the 20-minute drive to the northern part of the island and the iconic beauty of Deception State Park. 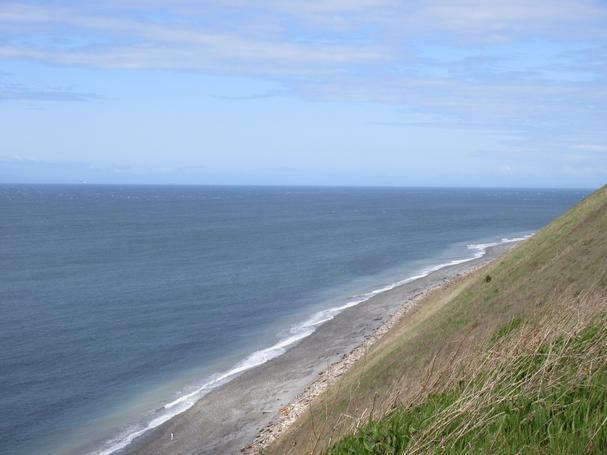 One does not need to hike to enjoy this vast park that covers over 4100 acres of lush forest, over 77,000 of saltwater shoreline and over 33,000 feet of freshwater shoreline in three lakes. If you want to hike there are some 38 miles of trails. We decided for a short hike down to the water and watched the tide rapidly move in from the ocean and the strong current of the freshwater move out towards the ocean. It was quite an unusual sight – two strong currents going in opposite directions! We also watched Oscar the Seal swimming back and forth, which must have taken some effort with these currents going close to 10 mph at times. We went to our car and drove across the dramatic Deception Pass Bridge; 180 feet up and we could still see the seal swimming. Once across the bridge we were on Fidalgo Island and drove 15 miles north to Mount Erie Park. 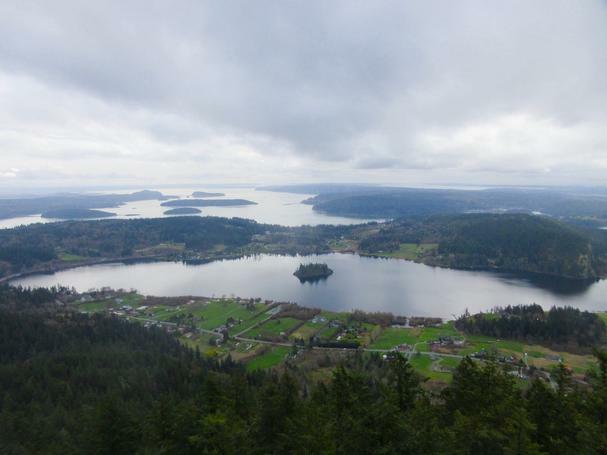 This is the highest point on Fidalgo Island, and one can hike the 1000 feet to the top or drive to the top. We chose the drive. At the top we enjoyed the views of the Olympic Mountains, Mt. Baker and Puget Sound, with its many small islands. Before we left we saw a hang glider getting ready to fly away. He was really going to enjoy the views. We bid farewell and wished him a happy and safe landing. We then took the 30 minute drive to our dinner spot in Oak Harbor, Rustica-Café-Wine Bar-Kitchen. 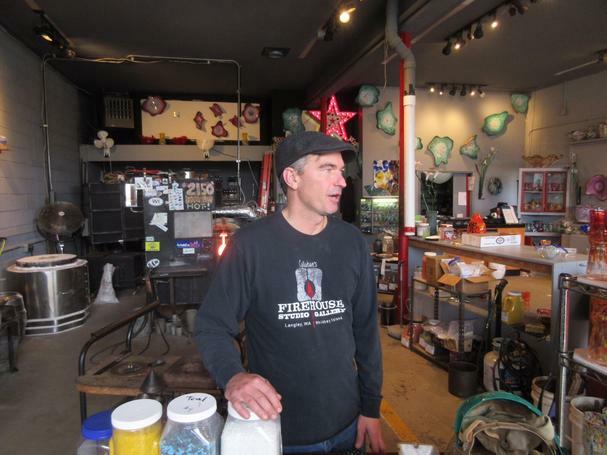 Jason Tritt is one of the owners and is from Oak Harbor. He also owns another restaurant and brewhouse in the area, Flyers Restaurant and Brewery. Jason and his partner Mercedes Fulwiler have done a great job with the focus being manifold. The food features Italian and Mediterranean styles. More on that soon. Oak Harbor is an interesting mix with many of the residents associated with the Naval Air Station Whidbey Island, which is based here, mixed in with tourist, mostly in the summer months. Now, back to the restaurant. Jason has gone to great lengths to create a unique décor. The interior design and focus is on repurposed materials. Over 95% of the interior is from salvaged wood, metal, and pipes. A local craftsman was used to create this rustic-classy setting that is prefect for families. We could go on describing the unique tables and décor but the food was my highlight. For starters we decided to forgo the Penn Cove mussels on the menu and opted for the spicy meatballs. The pork meatballs were served in a spicy tomato sauce and were delicious and definitely had a kick. 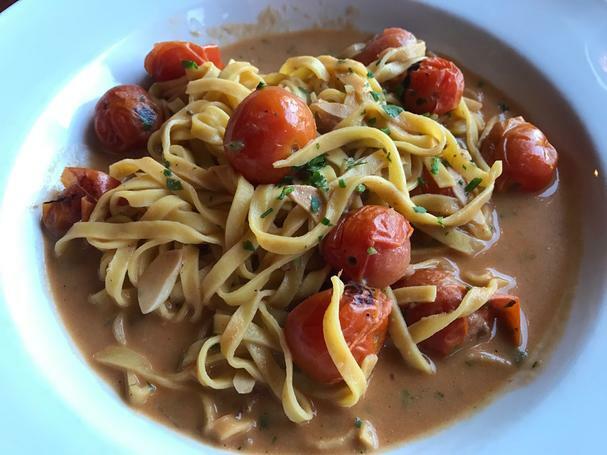 Although we were tempted by the tapas that are featured I went with the Fromage-Tomato Linguine. This light roasted tomato sauce was very nicely done and extremely light. My wife went with the Rustica Lasagna which had a unique touch of braised beef soaked in red wine and roasted tomato sauce. Our dinner was paired with one of the finer Pinot Noir’s that we have had, Diora Wine's La Petite Grace from Monterrey California. We sat inside for a while, finishing the wine and watching the families outside enjoying dinner with their youngsters, and folks strolling down the streets. 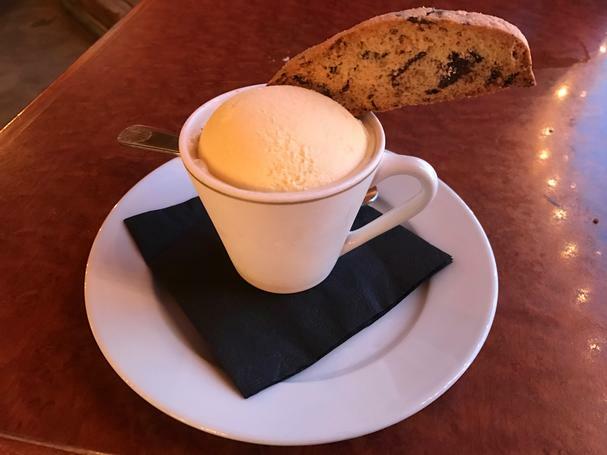 It was time for desert and I enjoyed the Affogato which is homemade ice cream and served with biscotti served with expresso. What a nice finish to this dinner. 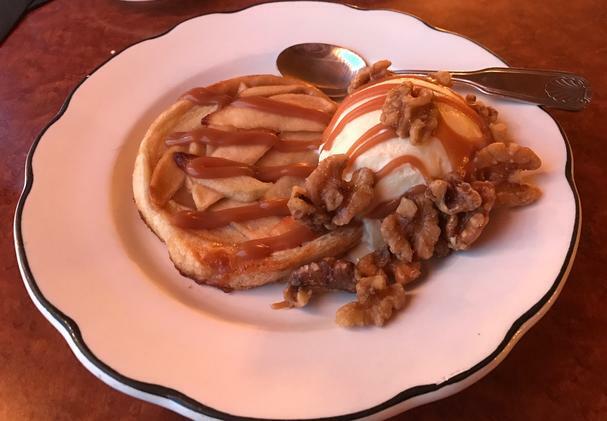 My wife equally enjoyed her Salted Camel Apple Crostata, served with homemade ice cream and topped with Canadian Walnuts. This was a great ending of our two day visit of dining and hiking on Whidbey Island, but we were tempted to stay another day. Sadly, real life was waiting for us to return. Happily though, this little paradise is just a two hour drive from Seattle. A bit longer if you take the more scenic route with the ferry boat, but well worth it however you get here.